Paris is a wonderful city. You can spend days, weeks, months – even years – and still discover new things to see, new chic places. We all know that Paris is always a good idea, however, depending on the season, there are special things to do in France’s capital. 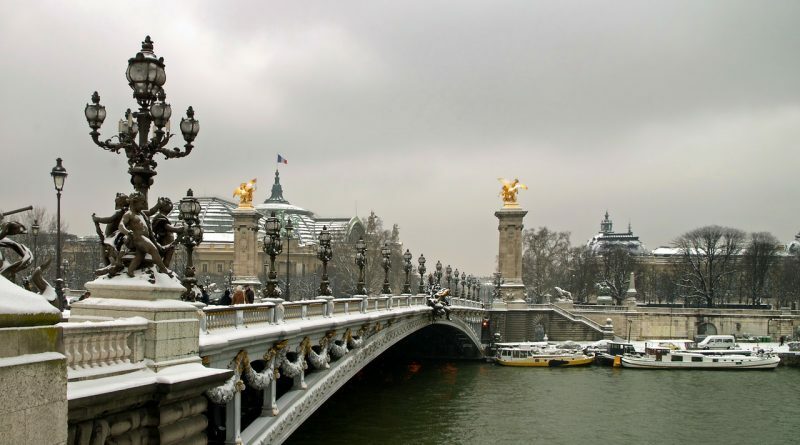 This article focuses on presenting the top 50 things to do in Paris in winter – with activities for all preferences and all ages. 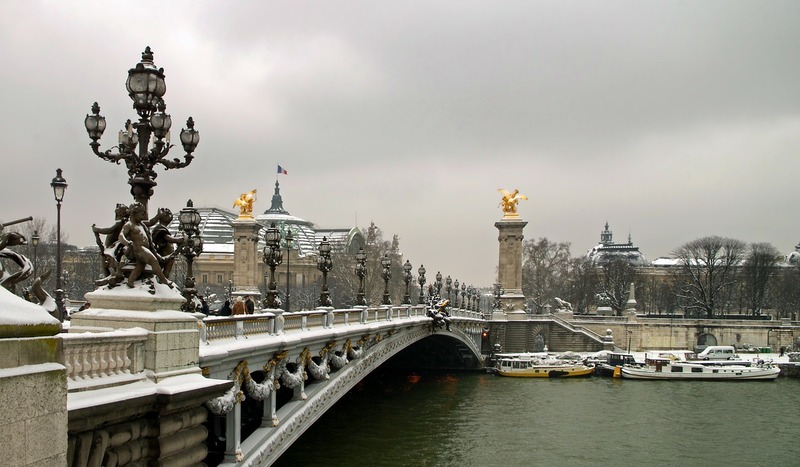 Some of them are available for a limited period of time, just during the winter in Paris – while other are available a longer period of time (but, for those who visit Paris in winter, they are must sees or must dos in order to get the true taste of Paris). 1. Have fun at one of the Christmas Markets – each year, in Paris you’ll find not one, but a few Christmas Markets! Marché de Noël des Champs-Elysées, Marché de Noël Alsacien (Gare de l’Est), and Marché de Noël de La Défense (Esplanade de La Défense) await for you. As a side note, they are open for different periods of time, so make sure to check in advance their schedule. 2. Go ice skating – well, if it’s winter and you like winter sports, you’ll definitely love to go ice skating. You can do that at the Christmas Market at the Champs Elysée or you can choose an indoor rink. It’s up to you! 3. Be mesmerized by Louvre‘s collection. The Louvre is a museum that I would recommend you to visit in several days – to discover all its amazing exhibits. But, if you only have a day, that’s OK too – here are some tips for visiting the Louvre. Just to tease you a bit, at this museum you’ll see the famous Mona Lisa, Venus de Milo, The code of Hammurabi, some interesting chairs in Bonaparte’s apartment, interesting paintings, and many other collections. 4. Have fun playing with the snow – or just walking while it’s snowing. I mean, it’s winter and Paris is romantic. A nice evening walk, seeing the famous buildings lit in yellow lights is great! 5. 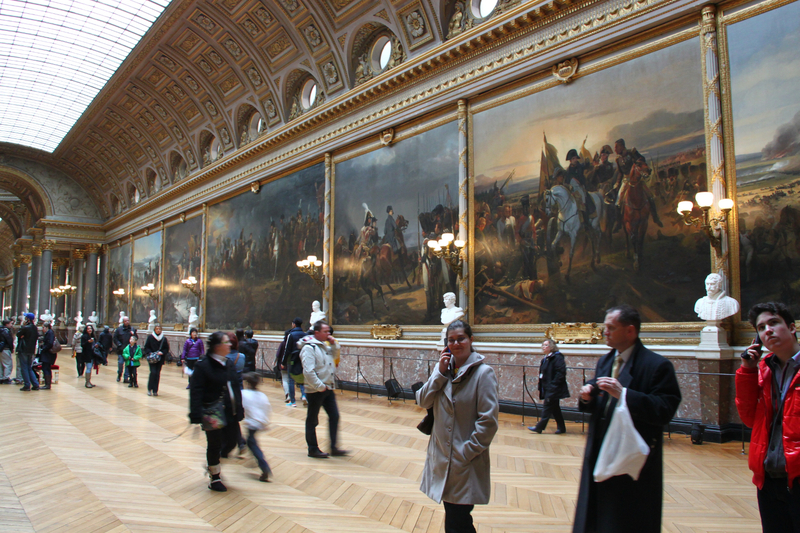 Discover the covered passages of Paris – there are several such covered galleries, easily accessible, lovely, and great ideas for those who want to take a break from the snow or cold outside! 6. Get warm with a hot chocolate – you can never go wrong with a hot chocolate:D And, as Paris is home to numerous cafes, in all its neighbourhoods (arrondisments), you will find something on your way! 7. Visit Musée d’Orsay. 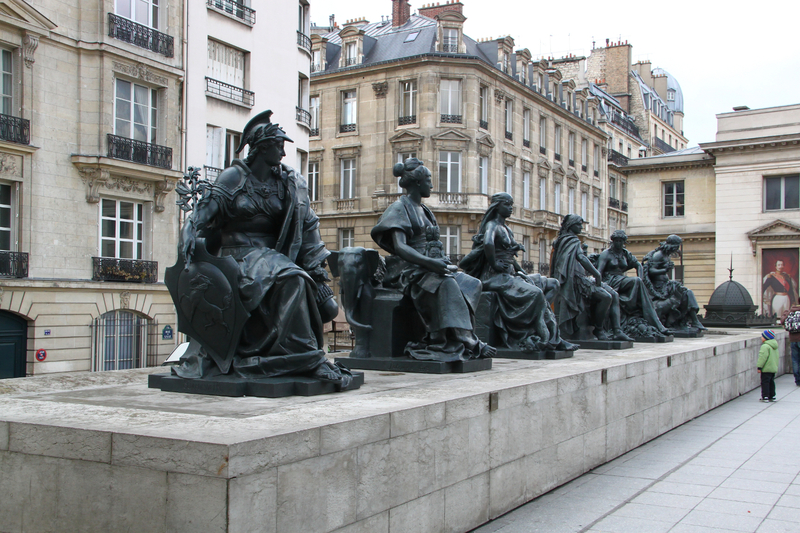 It’s one of my favorite museums in Paris and when you’ll visit it, you’ll see why! Prepare to be mesmerized! 8. Admire the festive Christmas displays at the department stores – visiting these stores and big shopping galleries is a must on almost any Paris visitor, but during December the interior is decorated with lovely globes and arrangements – while the windows often have Christmas scenes with animated figures, gifts, and more. 9. Relax at the spa – all the walking might make you feel tired, so why not get pampered at one of the spas in Paris? 10. Take a boat trip – true, it depends on the weather, but if it is OK, seeing Paris from the comfort of a boat is a lovely experience. 11. Go to a concert – there are numerous opportunities and venues in Paris, just check the places near you and see what’s playing. 12. Go shopping – an indoor activity for cold days! Plus, you’ll discover winter and Christmas promotions so take advantage of these winter sales (the biggest promotions are usually mid January – end of winter collections). 13. Go to Disneyland Paris – while this is something many plan on doing regardless of the season, you will find special events during the Christmas season. 14. Admire the Christmas lights and decorations throughout the city – Paris, as many other cities, is decorated for Christmas. A walk during the evening, to admire these lights, is an enchanting and relaxing way to end a day. 15. 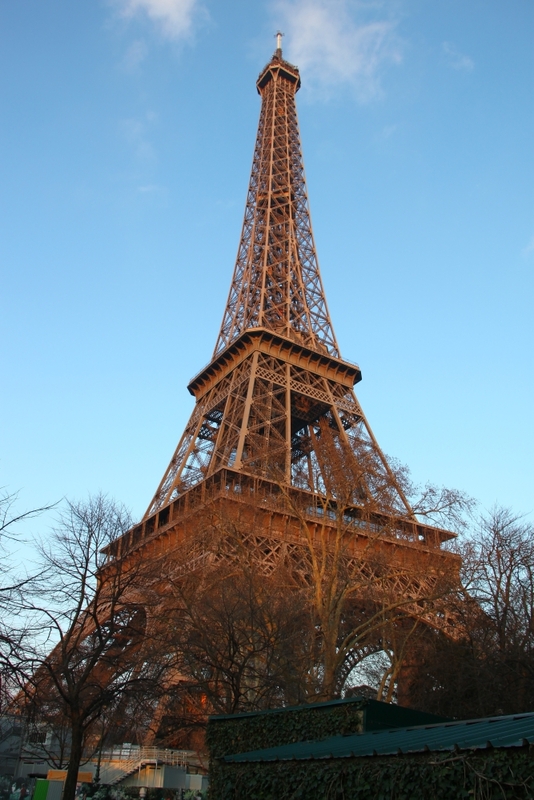 Visit the Eiffel Tower and see the city from above – no matter what season it is, a visit to the Eiffel Tower is a must, in my opinion – check out The Eiffel Tower during day and night – my incredible experience and travel tips.. Yes, some say it’s a touristy thing to do. But, after being there, taking the elevator all the way up, enjoying Paris seen from the Eiffel Tower I can say but one thing: it’s a must when in Paris, no matter how is the weather outside! 16. Attend the Chinese New Year parade and events (in February). Yes, it’s Paris, but there is a big Chinese community so that’s another item on your list of top things to do in winter in Paris. 17. Take a cooking class – maybe learn to bake the famous Macarons! 18. See the beautiful Christmas Tree in front of the Notre Dame Cathedral. While there are several other trees, this one is a traditional one! 19. 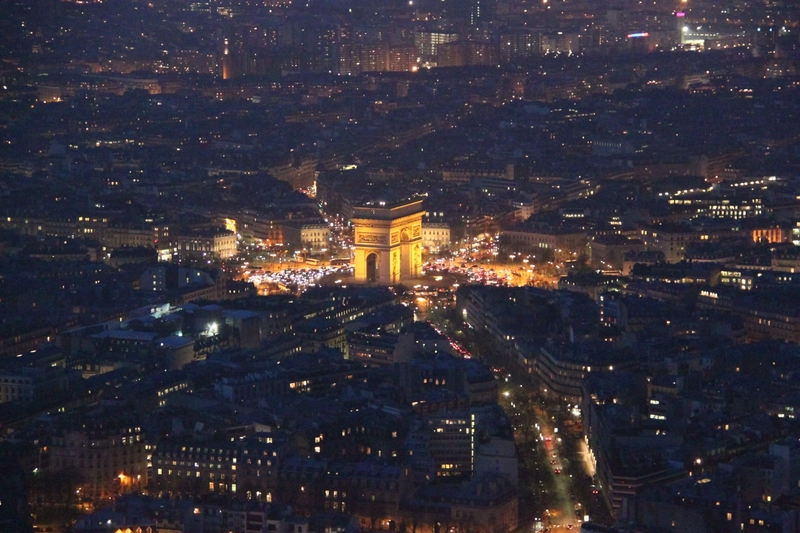 Celebrate New Year in Paris – and see the concerts and the lights show at the Eiffel Tower! The fireworks are present too to make the atmosphere even more special! 21. See the Christmas Crib and listen Christmas songs inside Notre Dame Cathedral – or in other famous churches in Paris. A special, calming experience. 22. Go to a special exhibition – there are numerous museums and galleries that host temporary exhibitions during the holidays. From the Picasso Museum that will dedicate a temporary exhibition to the painter’s works from 1932, to Monet’s collection exhibited at the museum dedicated to him, to special exhibits that can be admired at other galleries/museums/castles. 23. Speaking of castles, take a short trip and visit Versailles Palace – a must on your Paris itinerary! I presented you Palace of Versailles, a must see UNESCO World Heritage Site near Paris and some tips, and I also already showed you the famous Hall of Mirrors, some amazing statues, and the Interesting curiosities discovered at the Versailles Palace. Need I say more? 24. Buy a souvenir – you have plenty of options, from the classical fridge magnets, mugs, pens, miniature Eiffel Towers to more unusual, special ones. It’s up to you! 25. See a French movie – that’s a special experience, if you understand French. If you don’t, there are places that show movies in their original language, so you may look for one and enjoy a short break from the winter outside! 26. Enjoy Christmas and New Year’s Concerts at La Madeleine, one of the most enchanting venues in Paris for such events. 27. Take a wine tasting tour – it lasts about 2 hours and you get the chance to taste some of the best wines in France. 28. Celebrate Valentine’s Day in Paris – it’s a romantic city, it’s a romantic holiday – so… a perfect match! There are many wonderful romantic venues, the stores have their windows decorated, therefore, you just have to plan ahead, make the reservations, and enjoy the day! 29. Go to a cabaret show – it’s a not to miss experience while in Paris. 30. See the Castles of the Loire Valley – this is always a great one day trip from Paris! 31. Take a chocolate or food tour in Paris – end discover some of the city’s best places to eat and France’s best foods/sweets. 32. 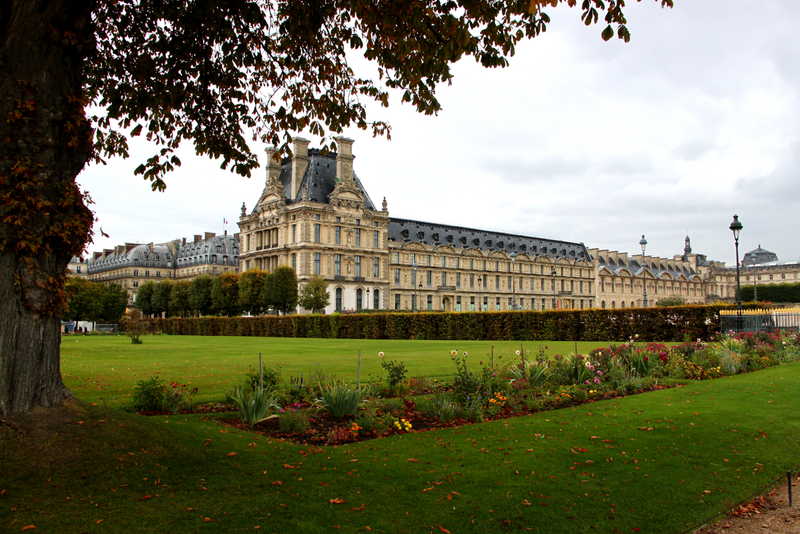 Take a walk in one – or more – of the wonderful gardens in Paris – Jardin du Luxembourg, Jardin des Tuileries, etc. 33. Admire the mesmerizing stained glass from the 13th century at Sainte Chapelle. 34. Take a walk and be surprised by Montmartre – one of the most famous neighborhoods in Paris. 35. Admire the the Arc de Triomphe – a symbol of Paris and an unmissable attraction to see in the city that should definitely be on your list of top 50 things to do in Paris in Winter. 36. Go to a French brasserie and try some of the products. Again, a not to miss activity in Paris. 37. Buy a French baguette – again, it’s Paris, France, and you simply have to try it! 38. Go to Moulin Rouge – maybe even choose one of the (pricey) packages for New Year’s Eve! 39. Have a croissant (or more). Maybe one with coffee – as inspector Maigret, the famous character created by Georges Simenon did. 40. Admire the city from a high point – you can go to Montparnasse Tower, or choose the Montmartre area – the Sacre-Coeur viewpoint area. Try to go at sunset to enjoy amazing colors! 42. 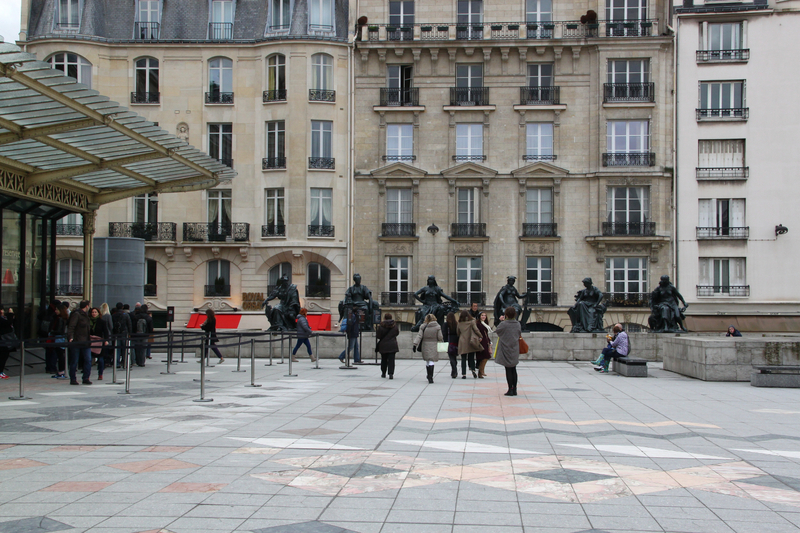 Visit the Picasso Museum (yes, I mentioned above a special exhibition held this year, but this museum is one of the best attractions in Paris so it should also be on your Paris itinerary, no matter the season! 43. 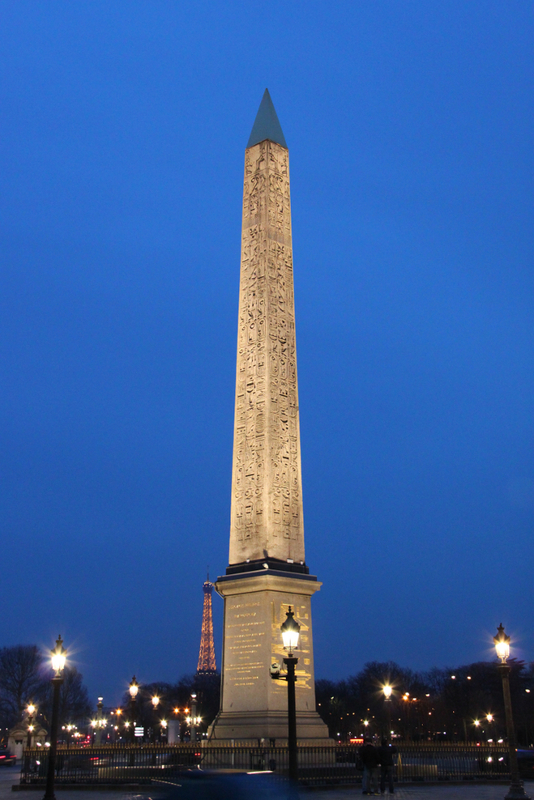 See the famous Obelisk (The Luxor Obelisque) originally located at the entrance of the Luxor Temple – it can be found in Place de la Concorde. 44. Go to Paris’s largest English-language bookshop: Shakespeare and Company. It’s also a cultural venue – so you might even participate at a special event. 46. Drink your morning coffee at a local cafe. It’s a special atmosphere! 47. Go to a flea market – as I heard, Paris is home to the world’s largest flea market – a great place to buy vintage gifts. 48. Savor lunch or dinner at the Michelin-starred restaurant in the Eiffel Tower (Le Jules Verne) – you’ll have the chance to admire the city (gorgeous at sunset!) and be mesmerized by the 6-course dinner menu. 49. Go to the opera – this year they play Puccini’s La Bohème! 50. Participate at a workshop and learn the secrets of French perfume. It will be an interesting experience! 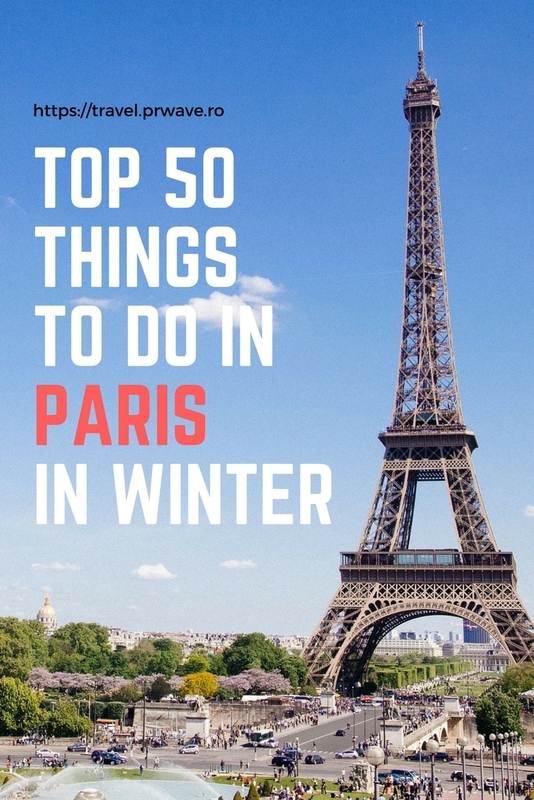 These are the top 50 things to do in Paris in winter. I hope you’ll enjoy your time in Paris! 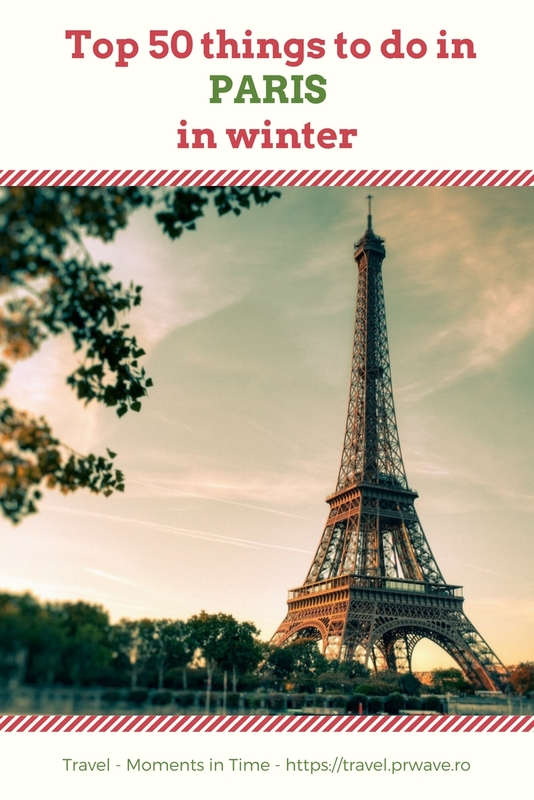 The Christmas and holiday ideas for winter in Paris are perfect! There sounds like an amazing list of things to do in the colder months.